Last week I showed you this sneak peek photo. It’s our new king size headboard! Much to the dismay of our neighbors I’m sure, we’ve had a seemingly endless supply of pallet wood in our driveway since finishing our brick patio. I had so many great plans for using the wood, and I’m making my way through each project slowly but surely. I started with a fairly easy project (my giant memo frame) and decided to try my hand at something more advanced. My design seemed simple enough, but the execution is far from perfect. Let’s just say I’m not the greatest carpenter. The first time I put this thing together by myself, it fell apart when I lifted it off the ground. Not one to accept defeat, I did what any self respecting (yet desperate) DIYer would do: begged my husband to help me. Now don’t get me wrong, this is a project that really anyone could do-especially if you have nice tools like a nail gun. I just don’t have a lot of experience with woodworking, and rainy day after rainy day was pushing this project to the top of my MUST GET DONE NOW list. I knew it would only take the hubs a little while to repair my headboard. One box of wood screws later, we had frankenstein-ed it together sufficiently. Let me just add that this project in no way reflects my husband’s woodworking skills…he was only doing damage control. I was insistent on the design, imperfect as it was. Once it was all together, I sanded down the splinters and applied 3 coats of spray-on wood finish. Pallet wood is chemically treated, so you’ll definitely want to use a sealer for any indoor projects. The final product is pretty heavy, so we used 3 triangle tab hangers and coordinating wall hooks (the heavy duty, multiple nail kind). We lucked out that the hook from the old headboard ended up being the perfect height, and it was already marking center…SCORE! You know I hate to measure. But even if I had to, it would have been totally worth it for this result. Are you dying??? Cause I am! Grand total for this project came to under $30 which included screws, menders, sandpaper, sealer, and hanging hardware. I’d say it was money well spent! Update: Here are some newer shots of my bedroom and the headboard! Wow! Great job. Love the rustic look. Thank you so much! It’s a work in progress lol! This is so neat! What a terrific Idea! I love it. You did an excellent job. I really like the ledge too! I am your newest follower from Furniture Feature Friday. Hope you can visit me sometime soon. Wow! I had no clue a pallet could be so beautiful! Well done! I love this!!!! It’s beautiful! That looks so cool! Pallets make great picnic tables too. Just make sure your pallets are not from overseas because they use really nasty pesticides on them. Love this. We just moved about 8 months ago and I am DYING to redo our bedroom. I LOVE everything about yours, headboard, bedding…LOVE…LOVE…LOVE. LOL sometimes husbands aren’t so good with the big picture…that’s why they need us! Such an amazing project! I would love to feature this on Reduce, Reuse, Upcycle. Feel free to stop by and grab a featured button. Thanks! LOVE this look! BUT-how the heck did you take the pallets apart? Got any tips/suggestions? Hehehe yeah I glossed over that part…to be honest my husband and his friend did it. They used large hammers, but I suspect if we had a pry bar that would have helped. 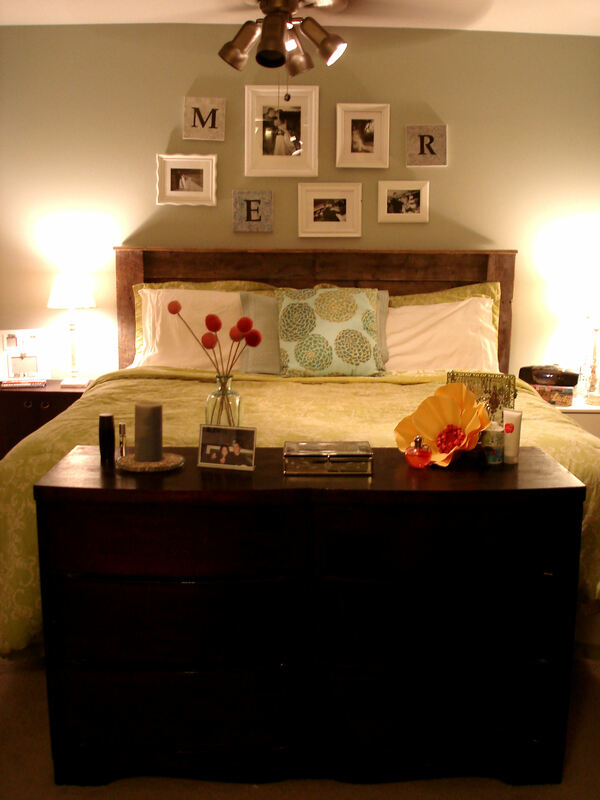 Cool pallet headboard and gorgeous bedroom too!!! 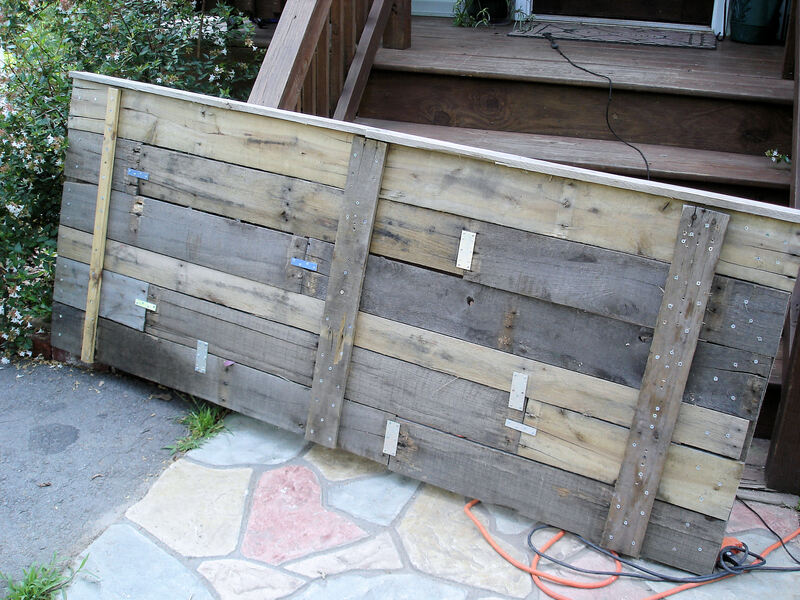 I’ve linked this to my pallets post too, well done! LOVE LOVE LOVE!!! The finish on the wood and your arrangement of the lines is brilliant! Beautiful! Thanks for the inspiration. My husband and I tackled this project last weekend and it looks awesome! 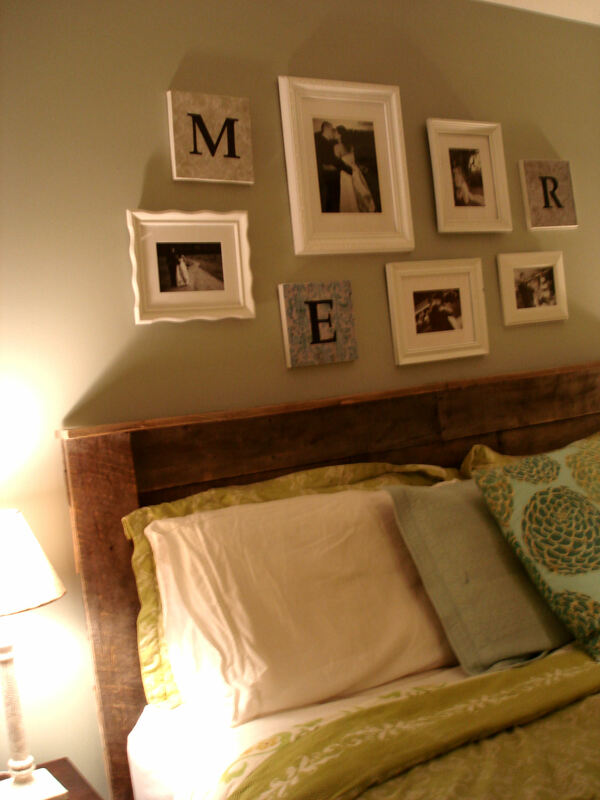 Such a fun cheap headboard with a cool story. This looks wonderful!! I love it. My husband and I would love to do this for our king sized bed – do you have any specific instructions or details to help us know where to start? Specifically, was it easy to find a board that was long enough for the top ledge? And did you center the top board? Also any tips on hanging would be wonderful 🙂 Thanks for the inspiration!!! Sherika- Yeah definitely check with the staff at Albertson’s…I have found that a lot of places have to trade back in their pallets so they’re not always free. But there are plenty of sources out there. Good luck with your project! How did you hold all the boards together without nailing through the front of the boards? Tim- It’s a fine line, and believe me we went through the front a few times before getting the length of screw right. Fortunately it’s all a part of the rustic feel. Basically you just have to check the width of all your boards and then undershoot a bit. Hello!  I have just discovered your blog and I LOVE it! My fiance and I have lived in our house for just over 2 years, but as we are just starting out we don’t have much for decorating our home (and what we do have is very mismatched). We don’t have a headboard for our bed and I LOVE this idea. I was just wondering how you assembled the headboard onto the bed? Or is it on the wall? Thanks a lot for all of your wonderful ideas, I will definitely be starting some projects for our home, but I think I need to start with planning room by room before starting random projects I love lol! Melissa- We actually hung the headboard on the wall, which to me felt safer because of the weight (we used heavy duty hanging hardware in 3 places). Hope that helps! I’m currently tearing apart a few pallets as my wife is dying to have one of these, what are your finished dimensions of this headboard? I’m loving this headboard! 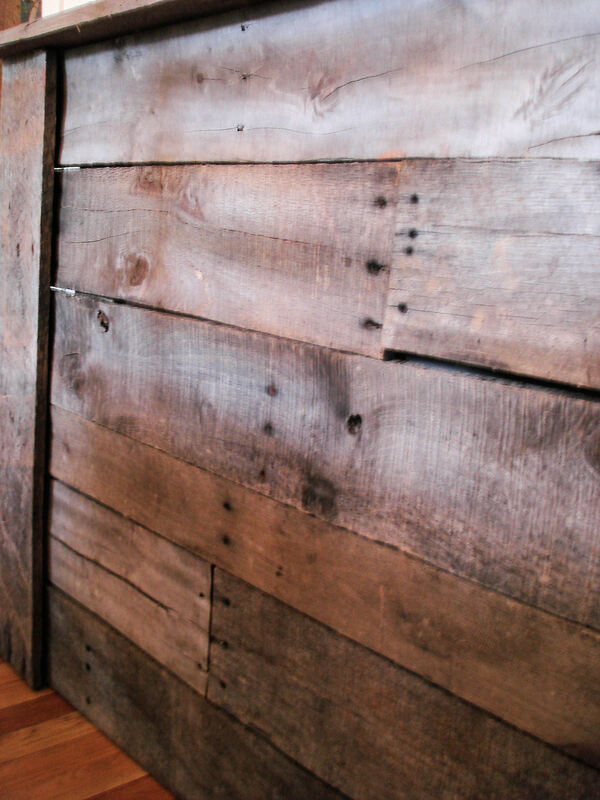 I’d love you to link it up at my Reclaimed Wood link party! 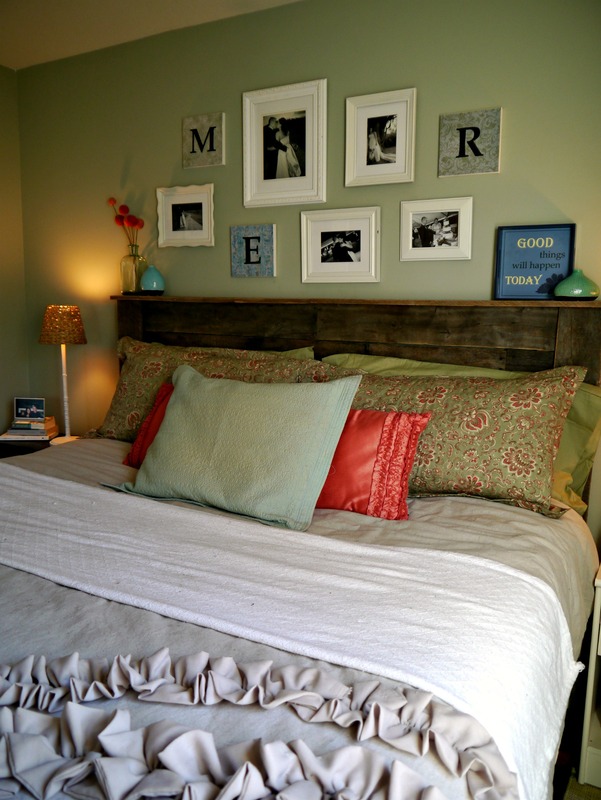 I LOVE LOVE LOVE your headboard….but also, that bedspread ROCKS! Did you create that too? I’m new here & am loving your site! Lisa- The ruffled one I made yes, the green one is from Walmart’s Better Homes & Garden line but is discontinued. Thanks so much for stopping by! I LOVE the ruffled bedspread. Can you share the details? I’m no good at sewing, but I have a friend who is and I’d love to hit her up for one of these!!! Beautiful!! I love everything about the room you made over! Where did you get/how did you make your comforter? LOVE the headboard and LOVE the room! What paint color is that??? Wow I’d love to see it, sounds neat! 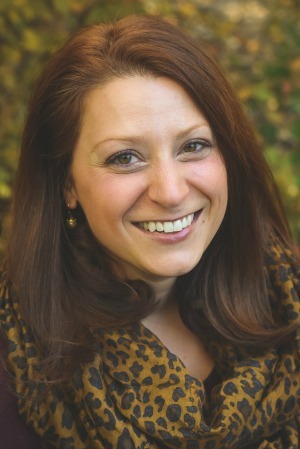 Cari- Thank you! It’s about 3 ft tall. How many pallets did it take to make that and how did you get that color? I’m not sure how many (we had about 6 around because of another project), but I’d imagine 2 or 3 would do it if you can separate them without losing too many pieces to breakage. I didn’t stain them at all, these just happened to be VERY old pallets which is why I wanted to use them for this project. I loved the gray wash. You could probably duplicate it with some paint or stain. You can also opt to stain the wood naturally… If you take a large mason jar (wide mouth works great) or other type of similar container, fill it with white vinegar, then a used up brillo/aluminum scouring pad and the some of the morning’s leftover coffee grounds – let it sit for a couple days and then take the mixture and used the pad to apply the vinegar/coffee mix outside (just so you don’t have to have a big mess) and then you can let dry. Don’t worry about the coffee grounds as you’re applying the “stain”, let it dry in the sun and brush off the coffee grounds when it’s dry. You can use one or two coats, but I really liked the “grey” antiquing that two coats provided… then, you can opt to seal it, or leave it unfinished. Hope that helps! 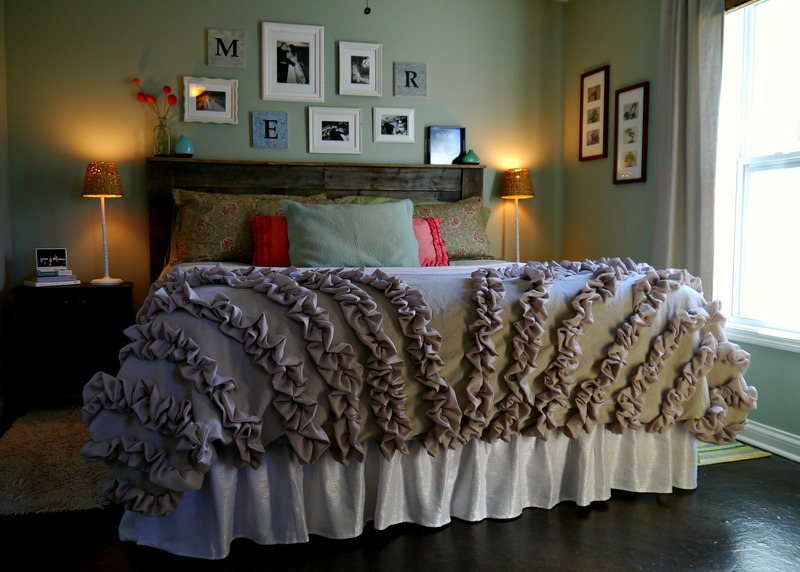 Do you make the ruffled bed spreads to sell? I would be intrested in buying one from you. I would love one exactly like yours, it’s beautiful!!!!!! I am interested in the ruffle bed spread. It is exactly what I’m looking for! Can you post directions on how you made this? or do you make them to sell? Thanks so much!!! Did you use any step-by-step instructions? 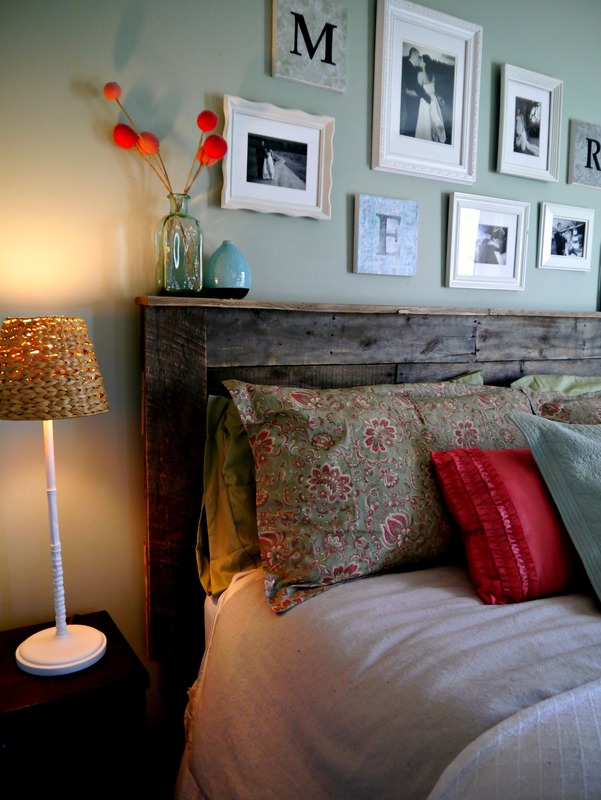 I’ve seen a few DIY blogs, but yours is by far the best looking pallet headboard I’ve seen. I’d love to know your process! Thanks Jay! I didn’t really have a process, except to arrange the pieces how I liked then flip them over and attach them together. But I did fail twice before getting it right (I didn’t clamp things and the screws pretty much just ripped out as soon as I picked it up). Oops! 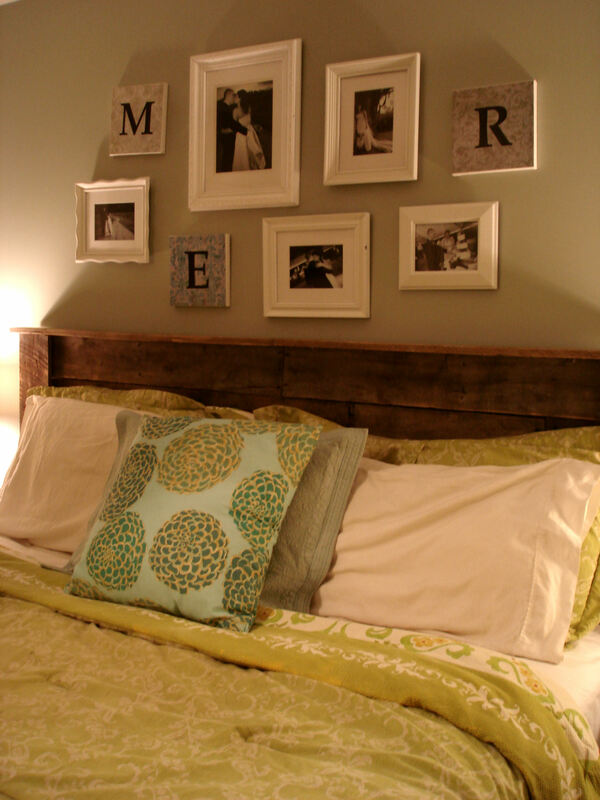 Did you attach the headboard to your frame, or to the wall? I want to make one, but my bed is in front of a window. Lynn, it’s attached to the wall. I’m desperate to get a Cal-King headboard! 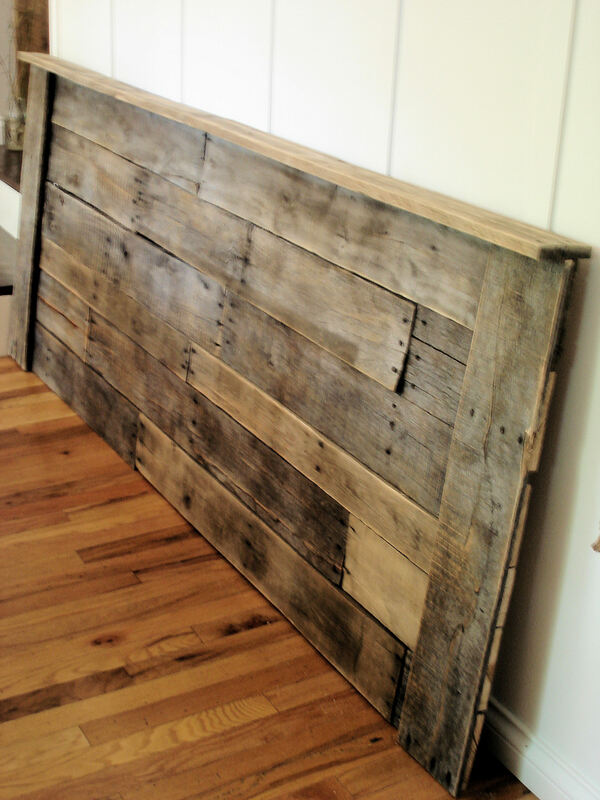 I absolutely love this headboard and am dying to make it! Do you have a step by step how to(as this is my first diy project)thank you so much and again I love it! AMAZING!!! LOVE it so much!!!!!! Very nice job,i really like it. BUT! why did you hide the finished result with all the big ol pillows? All that work and all you see is the top. I would get rid of the pillows and showoff your work. Its to nice of a job to hide. I have a question, how many pallets were used? I have a friend who wants me to make her one for a queen size bed, but having as much information would be great before I get started. Any information would be greatly appreciated! I had my dad make a very similar headboard, but he wasn’t very successful in sanding down the wood. 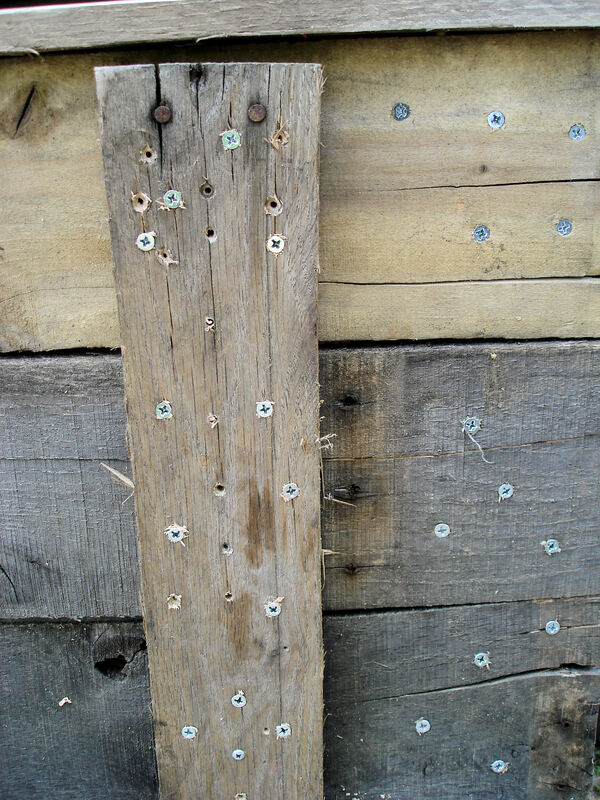 Its mostly very rough and has some splinters. Were you able to sand it down so that it was smooth? What grade sand paper did you use? Also do you have a link to the type of wall fasteners you used? Thank you this is a wonderful Idea. My husband is a tractor mechanic so he brings home lots and lots of pallets. This will be perfect he already told me he would make it for me. thank you again so much. I love this Headboard! I am making it this weekend 🙂 However, I am curious- what is the colour you have on your walls in the bedroom? Thanks so much!!! Where is your bedding from? I love the floral cases and both throw pillows and the ruffled throw at the end. Yes I agree that I love those floral pillowcases – where are those from?! Where did you get that Quilt cover from? I love that your hubby fixed it for you… so sweet! I’m totally inspired to attempt one myself! Love the headboard!!!! Just love it, but I also love that ruffle spread at the bottom of your bed in that pic! Did you make that or did you purchase that somewhere? Would love to know I love that also! Its a perfect mixture of softness to the hardness of the headboard! Did you make the bedspread as well? If not where did you buy it? I was wondering what kind of sealant you used and for what size bed the headboard was made for? Hi! I don’t know if you still check this! I am obsessed with your work! Awesome job! I am so in love I’m actually in the process recreating it right now! I was wondering if you could please tell me the dimensions of yours. I am buying a new bed as well and moving up to a king size, but don’t have it yet so I figured I could kind of go off yours! Thanks again for everything! !